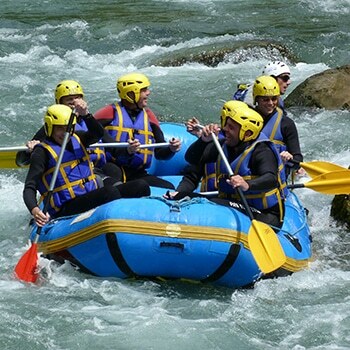 We also offer a wide range of outdoor sports on the Annecy Basin : Mongolfière, Rafting, Motoneige or Via Ferrata ! 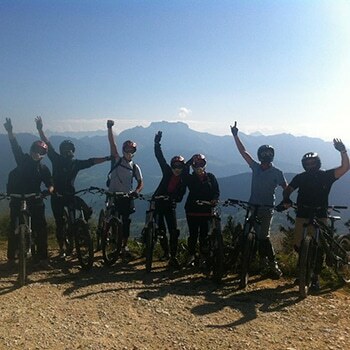 Adventure Sport Annecy is the ideal spot for your outdoor activities. We will reserve you the best welcome, summer and winter. Fill up on Adventure Sport Annecy ! Between lake and mountains, discover our playground famous for outdoor activities. You will be delighted by the wonders of our region, seduced by our range of products and conquered by our state certified professionals ! Discover all our activities in video ! 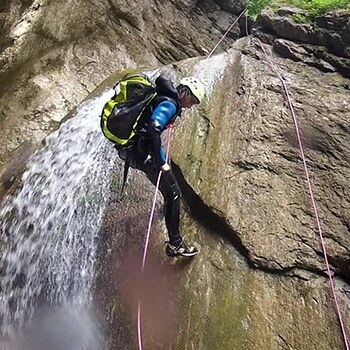 Via Ferrata is a combination of walking and climbing along iron pathways. It is an activity accessible to everyone. Attached at all times, there are a variety of ladders, rope bridges and steep pathways, whilst traversing across the rock face. The course is 23 km long and is accessible to everyone, there is no need for a previous experience but you have to know how to swim. The swift changes between calm-soft water and rapids as well as the great atmosphere in the group will make this trip an unforgettable one ! We offer superb ridesaround Annecy where we alternate between technical rides and rides ased entirely on descending. Our qualified guides willshow you the most important techniques to get started ! In a magnificent space, learn about the enjoyments of the glide on a motorized machine: the snowmobile or Ski doo! 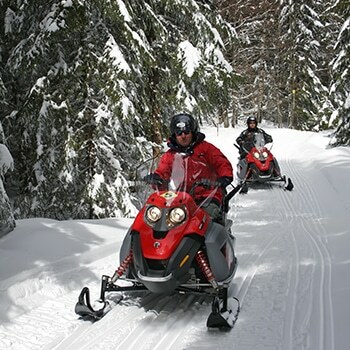 Warm your gloves and leave on a raid for snowmobile at the heart of the mountain. 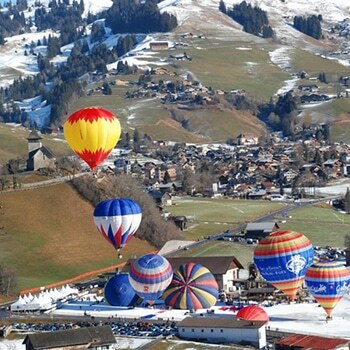 Flying in a hot-air balloon in Annecy, is the perfect way to better discover the city and its surroundings! 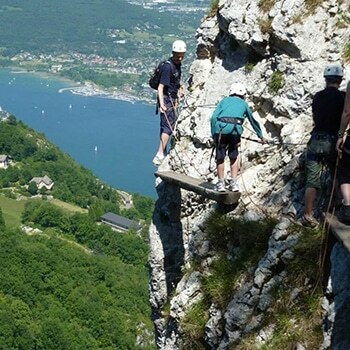 You will enjoy amazing landscapes of Annecy and the Alps and admire breathtaking views of the lake and the mountains.